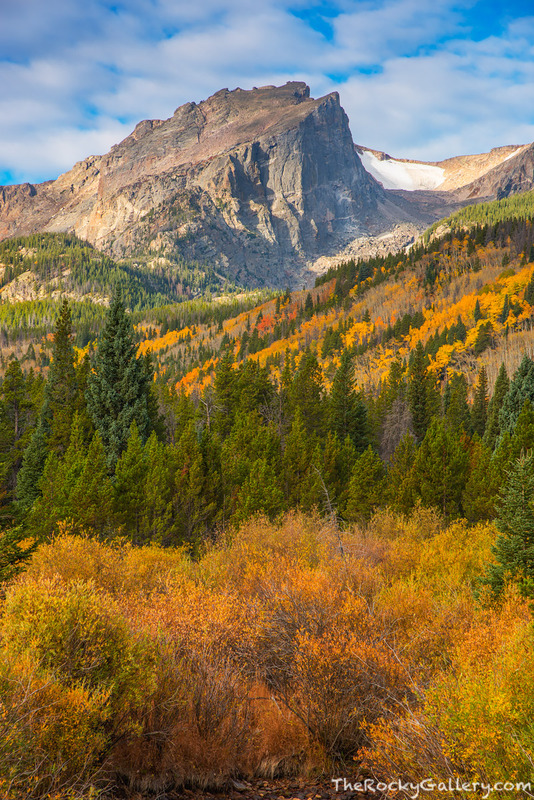 On a beautiful autumn morning in Rocky Mountain National Park, Hallett Peak shimmers amongst the fall color that has graced the slopes of the Bierstadt Moraine and Glacier Creek. The willows and aspens are in their autumn splendor and the dappled sunlight illuminates one of Rocky Mountain National Park's most iconic peaks. Photo © copyright by Thomas Mangan.